HOÀ BÌNH — The northwestern mountainous province of Hoà Bình on Tuesday announced that its pig population is free of African swine fever. 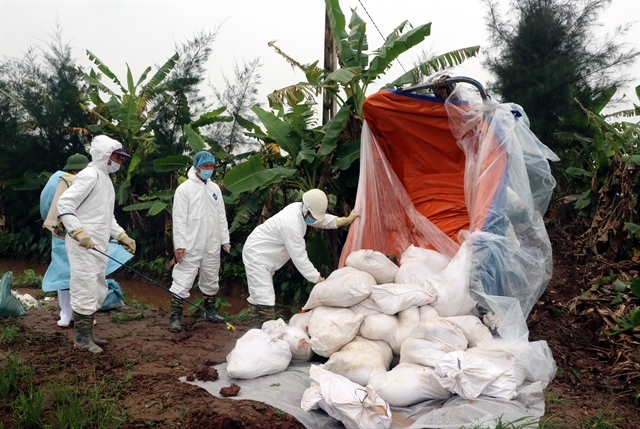 It is the first of 23 affected localities in Việt Nam hit by the outbreaks to declare eradication of the disease, meaning husbandry activities will resume while the ban on transport and sale of pigs to outside the locality will be lifted. Deputy Minister of Agriculture and Rural Development Phùng Đức Tiến said a region was considered rid of the disease if there ưre no more outbreaks within 30 days since the last infected pig was culled. African swine fever made its first appearance in Hoà Bình at pig farms in Hợp Thanh and Thanh Lương communes on March 5, and on April 6, 30 days after the ill pigs were killed off, the two communes’ authorities reported they were free of the disease. Head of animal husbandry department of Hoà Bình Province, Nguyễn Văn Tuấn, said that they would continue to monitor the situation to stop the disease from returning. The northern mountainous province of Bắc Kạn is expected to become the next locality free from the disease, as it becomes eligible on Wednesday. Throughout Việt Nam, the African swine fever outbreak is under control, deputy minister Tiến said, thanks to the quick and thorough responses from both the central Government and local governments, leading to positive developments in the pork market with prices and consumption rates recovering.